Note these are NOT applique patterns but patterns using Panels. Panels are printed pictures that look like applique, but without the work. I have incorporated these purchased panels into the quilt patterns. PANEL PATTERNS DO NOT INCLUDE THE FABRIC PANEL. We do not sell fabric on this website. If you are interested in purchasing a fabric panel, contact your local quilt shop, specialty fabric shop or online fabric store. 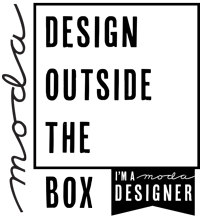 To find a store near you that carries MODA fabrics, click here for the Fabric Store Locator.